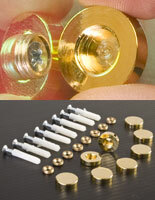 Constructed from brass with a satin finish yet sells at plastic screw cover prices. Sells in sets of (8) covers, screws, anchors, & connectors for mounting (2) signs. 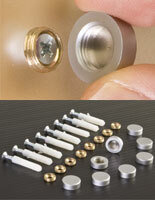 3/4" Diameter of decorative screw heads accents signage in a subtle and stylish manner. 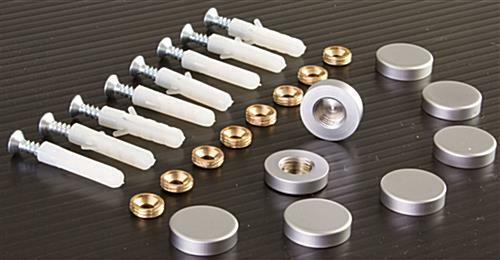 Sign fixings called sign holders, or fasteners are perfect to mount signs in an office, bank, hotel, or anywhere clients will be. 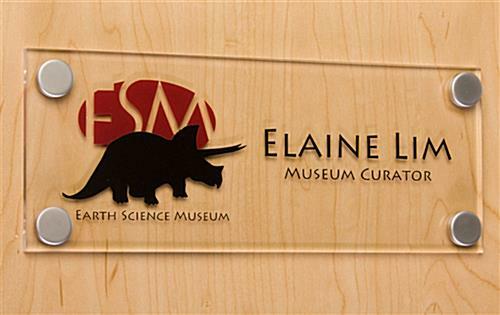 Normally when a sign is mounted to a wall screws are left exposed, detracting from the sign. These sign fixings are specifically designed to enhance signage while covering unsightly screw heads. 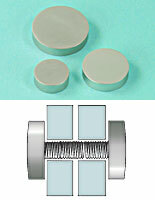 Fasteners have a diameter of 3/4" and a depth of 3/8". 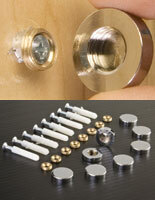 We sell sign fixings in sets of (8), allowing you to mount (2) signs with one set of hardware. All the hardware needed to mount signage is included. 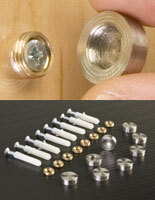 Sign fixings come with screws, anchors, and threaded washers. 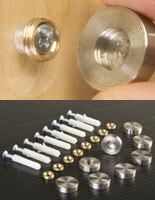 The sign fixings are constructed of brass with metal plating featuring a silver satin finish. The sign holders may only be used indoors due to the metal construction. The satin metal finish gives a very contemporary look to your indoor signage. 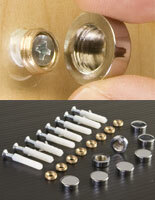 Many metal sign fasteners sell at twice or even three times what this hardware sells for. A fully metal construction combine with designer style, and low price make these display fixings an incredible deal! As environment and spaces designers, we do a lot of acrylic displays. These covers are our go to for the perfect final project finish. We have purchased multiple times and will continue to do so. 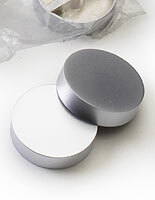 High quality materials and easy ordering. Thank you! We're so glad to hear you're a fan of these acrylic covers, Susan! Thanks so much for shopping with us and taking the time to review.